Part of living abroad is that it gives you a weird identity crisis. Here on Foodie Underground I write in English, for a mostly Anglophone audience. But as many of you know, my recipe inspiration comes from wherever I am located, and whatever is local, and currently since France is home, the Paris markets and French vegetables are what keep me going. But food and cooking is universal, and the beauty of it is that while I may develop a recipe in my French kitchen, if you’re in the Northern Hemisphere, chances are you can get the same ingredients I can, and you can do the same recipes in your home. As you might imagine, there are a lot of great cookbooks in France; this is a country where food is essential after all. 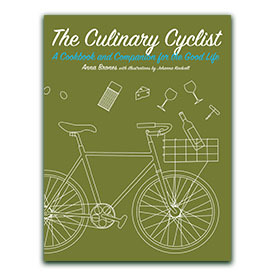 Recently my friend and illustrator Jessie Kanelos Weiner teamed up with cookbook author Laure Kié to produce a cookbook. 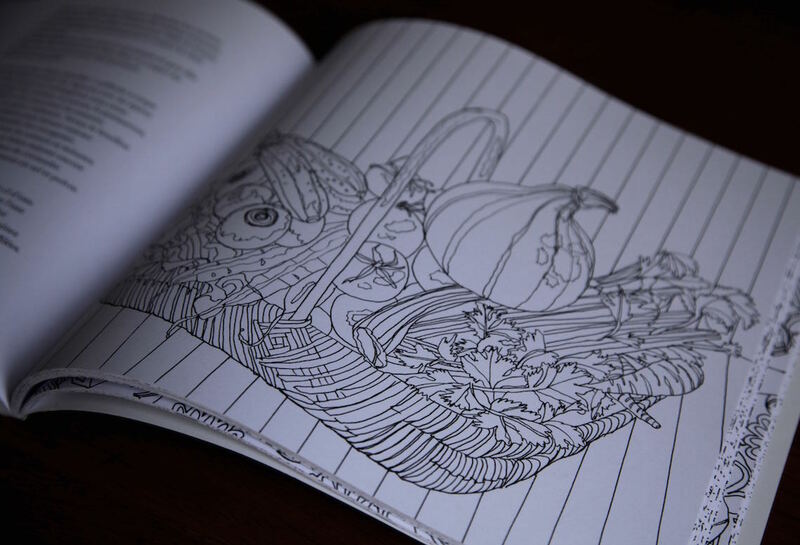 But not just any cookbook, a coloring cookbook. 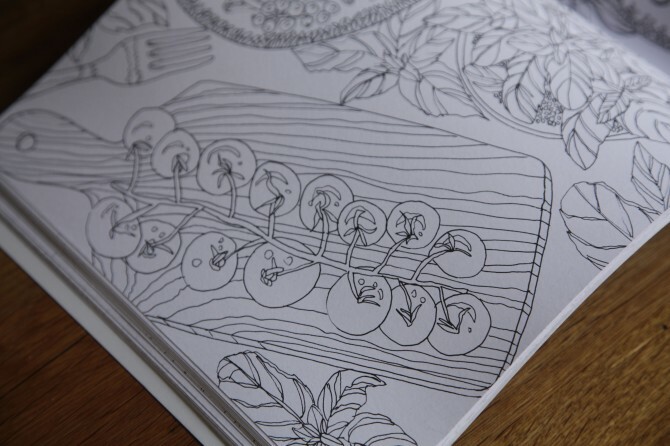 Now you might assume that coloring books are for children. Well, you would of course be wrong. Because once you start coloring, you can’t stop. And when it’s cold out and you’re dreaming of summer, what better solution than coloring in a few bright red tomatoes and strawberries? 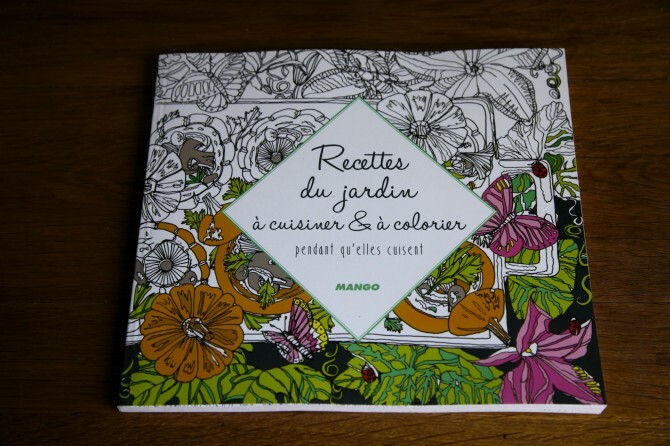 Published by MANGO, Recettes du Jardins à Cuisiner et Colorier (Garden Recipes to Cook and Color) is themed around the seasons, from autumn soups to summer desserts like Apricot Tart. 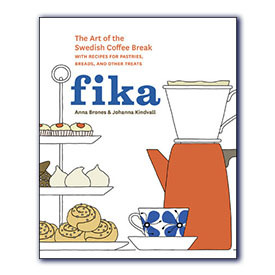 It’s the kind of cookbook that gets you excited about the next season to come. The book is in French, and I know that there are some Francophile Foodie Underground readers out there, as well as some French speakers. But even if you don’t speak French, I can still see this book finding a space on your cookbook shelf, because it’s visually inspirational in a very innovative way. This is all to say, even if you don’t live in France, or speak French, I still encourage you to enter. 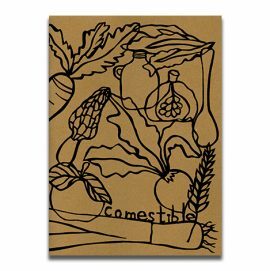 Because this is the kind of cookbook that is going to inspire good seasonal things in your kitchen. Also, wouldn’t you feel a little classier owning a cookbook in French? Want to win Recettes du Jardin à Cuisiner et Colorier? 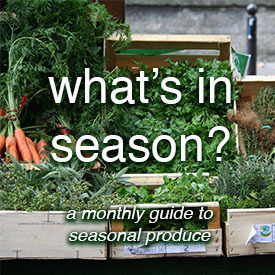 Tell me what your favorite seasonal produce is and what you like to make with it in the comments below. Either in English or in French works. I’ll be nice and ship worldwide on this one, so even if you live in Antarctica, feel free to enter! Although if you do live in Antarctica, I’d really like to know what you cook. To enter, please submit your comment by March 20, 2015. My favorite seasonal produce is rhubarb, because it always feels like a special treat and isn’t available year round. My favorite is rhubarb pie, of course, but I also love to make glazes for pork dishes with it and compote for quickbreads, etc. At this moment because of the season, hands down, zucchini. I LOVE to make zoodles! The colors of the garden and the kitchen are among the best element of food. While visiting Paris with my sister, she painted street scenes and gardens at each stop we made for coffee and pastries. Though I do not paint well, I love pictures of food! (I recently made one of your radish photos my profile photo.) Coloring books have been my art form as I explore colors. Reading French cookbooks is another food thing I enjoy. Thanks for your wonderful recipes and for sharing your food experiences. i love a simple dish of roasted brussel sprouts. Toss them in extra virgin olive oil with a sprinkling of sea then slide them into an oven at 400 degrees. My favourite winter vegetable is the parsnip. I cook it with lemongrass and then mix it with the cooking water, lemon juice and cream to the smoothest, most tasty velouté ever! Kale! We seem to be adding it to many of our meals this past fortnight – we can’t get enough. If adding we just place it on top of what we are eating – put the lid on and let it ‘steam’. As a side dish – cooked in a frying pan with the lid on. Living in Ottawa, Canada local veg. is limited at this time of year. But my fav. is onions. I love pickling red onions or making caramelized onions with white ones. They add so much flavour, help keep winter colds/flus away, and when used as a topping make any simple meal look super professional, especially tacos. Au pringtemps au Canada j’aime bien manger des têtes de violon (fiddlehead ferns). Je les fais blanchir dans de l’eau bouillante ensuite je les fait revenir à la poêle avec du beurre, ail, sel et poivre. Délicieux! J’habite présentement en Californie alors il y a queqlues années que j’en ai pas mangé. Je viens de découvrir votre blogue et j’y reviendrais certainement! food+coloring book?! This is too good. My favorite seasonal produce are fava beans. I love to bring them in fresh, shuck them from their hardened shells and saute they in garlic and olive oil until just softening with caramelized bottoms to toss into many different types of pasta. Beets! I adore beets, and make noodles with them, saute in unrefined coconut oil, roast with honey and spices, use in hummus, baking (cookies, muffins, crackers) and for coloring other food. I also love using beets in kvass. Thank you! Tomatoes are a big deal here in the NW, growing them is precarious but so rewarding! And I really love Tomato Jam. 🙂 Now I can never go back to ketchup. looks so fun and I’m not sure what I’d like more, cooking or coloring in it! !